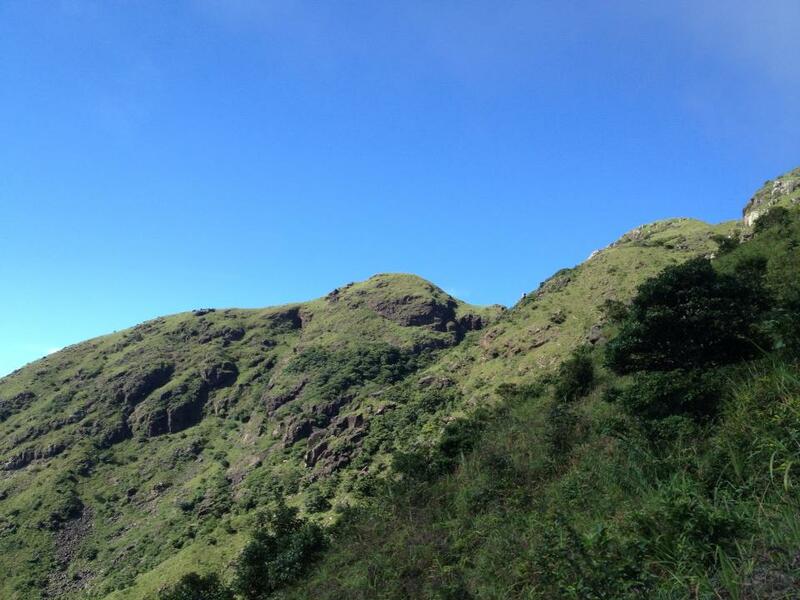 Lantau Peak was stunning yesterday … and very hot! 4 weeks to TDG and all is not well. I’m in HK for the long bank holiday weekend .. it was Hari Raya and today is National Day (Happy 48th, Singers!). I’m meant to be running like a demon by now and making mincemeat out of the hills here, but instead I’m totally spent. The workload I’ve taken on in the past few months, coupled with copius amounts of travel, stress and a significant lack of sleep have really taken it’s toll. I have to admit that I’m not invincible, and that I really can’t do everything. Damn. It’s a hard thing to acknowledge, and I haven’t exactly taken the easy route to get to this self-revelation. Training sessions had lost their appeal a long time ago, squashed in between emails, photo-shoots and plane rides. My runs just became another thing that I had to tick off the list each day, and it wasn’t encouraging. I’ve trudged on till now, waking up feeling bone tired every single day, struggling to get my work and training done, regularly clocking in 20-hour days. Needless to say the quality of my runs has been pretty dire (sorry, Matt! ), my brain is so tired that I can’t find any joy or motivation out on the trails for now. Not ideal when there’s a 200-miler coming up in 4 weeks. It took a mini-breakdown on the trails yesterday and a bit of sage advice from The Beast to realise that I’m not doing myself any favours by thinking I can take it all on without any consequences. I’ve lost my mojo. I don’t know how much I can salvage in 4 weeks, but I’ll still be rocking up to TDG looking to finish at least. I see everyone else in the community training their pants off, or just running for the hell of it, and I desperately want to get back that too.When I used to feel fit, and fast and when it all felt like an adventure rather than a chore. Time to get back to basics and remember why I started all this in the first place. It’ll all be stripped back to the bare bones when I’m on the TDG course, but I need to make the most of the time I have left to work towards being strong enough to withstand the brutality of having to be honest with myself. No one else is accountable, just me. That’s why I love endurance events in the first place, and that’s how I started on this journey. Time to make sure I’m deserving of the finish. Allez! You are my first heroine and you will finish TDG strong. At least you have four weeks to go and a master plan on how to salvage whatever is left. We may just be human but it's the human spirit that triumphs against all odds. Thank God you have The Beast by your side. Nothing is more comforting than an understanding partner. I have nobody. Until the day I die, I struggle on my own. Tor Des Geants … one day to go!